The Caribaea Initiative is a French public incorporated association (association loi 1901), since October 9th 2014. For further information, please contact us by email at contact(at)caribaea.org. 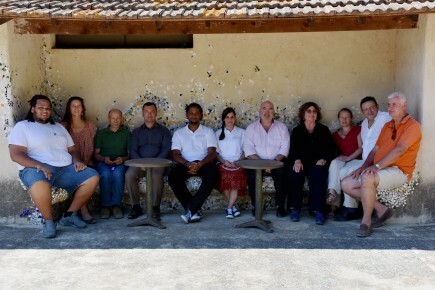 General Assembly – Friday August 26th 2016 – Arles From left to right: C. Cambrone (master 2), AS Gicquiaux, R. Pradel, A. Sandoz, S. Son (PhD), A. Vidal (PhD), JP Paddack, C. Comte, S. Arnaud-Haond, F. Cézilly and O. Rollin. 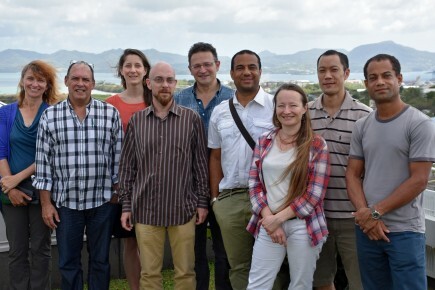 Dr. Jenny Daltry, Fauna & Flora International, Cambridge, U.K.
From left to right : J. Daltry, R. Borroto-Paez, AS Gicquiaux, E. Bezault, F. Cézilly, JR Gros-Désormeaux, S. Arnaud-Haond, B. Leung, H. Vallès.